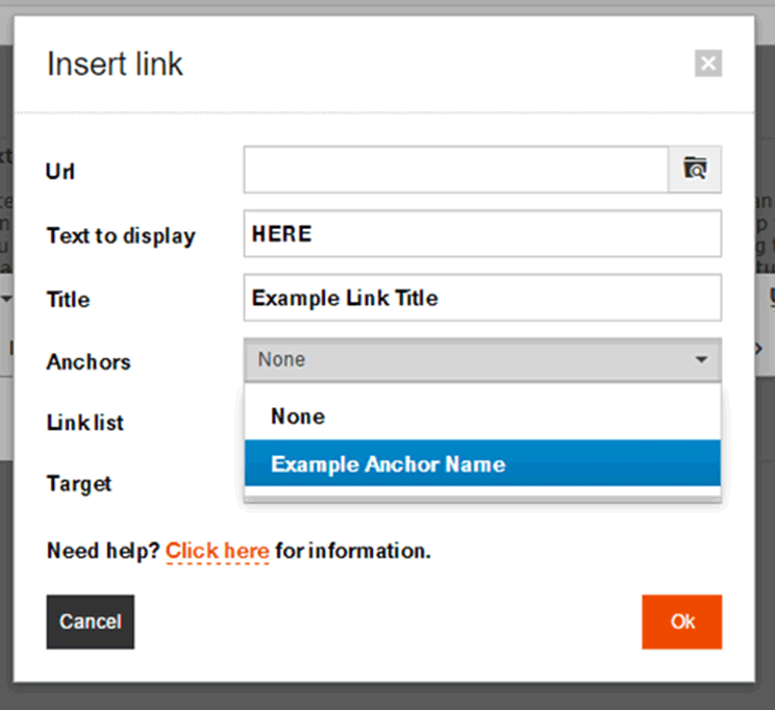 An Anchor is a specific area of a page, which you are taken to by a clickable link. Meaning that a visitor doesn't have to scroll through the whole page to find a particular section. 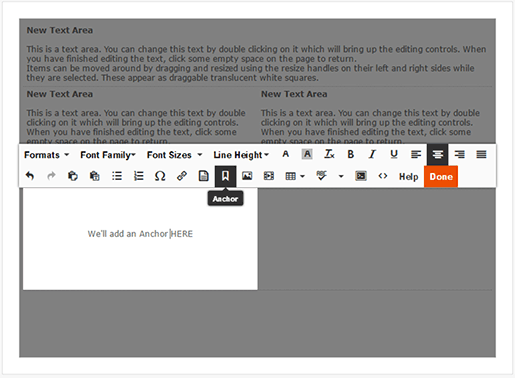 Step 1: Head to the page that you would like to add an Anchor to, click into the Text Block and place the cursor where you want the anchor to be, then click the Anchor button in the Toolbar. Step 2: You will be shown the Anchor window, where you can choose a name. Once you are happy with the name, press Ok. An anchor icon will now appear in your text. Step 3: Now that your Anchor is in place, you will need to create a link to it. Highlight the text that you want to use as your link and click the Insert/Edit Link button in the Toolbar. Step 4: You should now see the Insert Link window. Use the Anchors Drop Down List to select the Anchor that you want to link to (the URL will automatically fill), then press Ok. Step 5: The text that you Highlighted will now appear as a link (underlined & in a different colour). Click Finish. 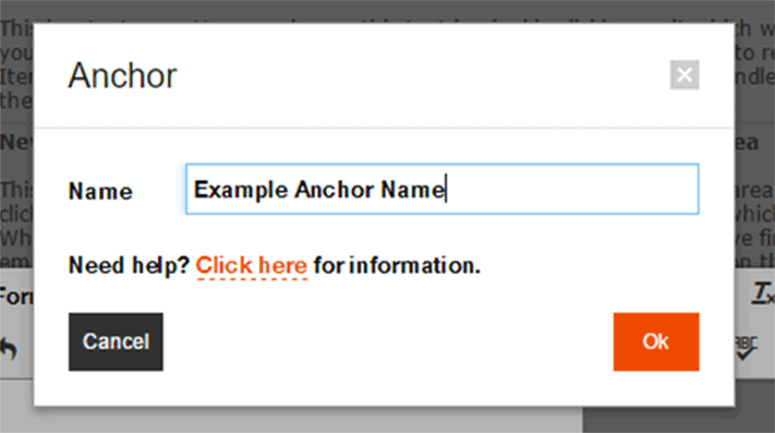 If you would like to check that the Anchor is working correctly on your site, click the View Website link in the InstantPro header and navigate to the page. 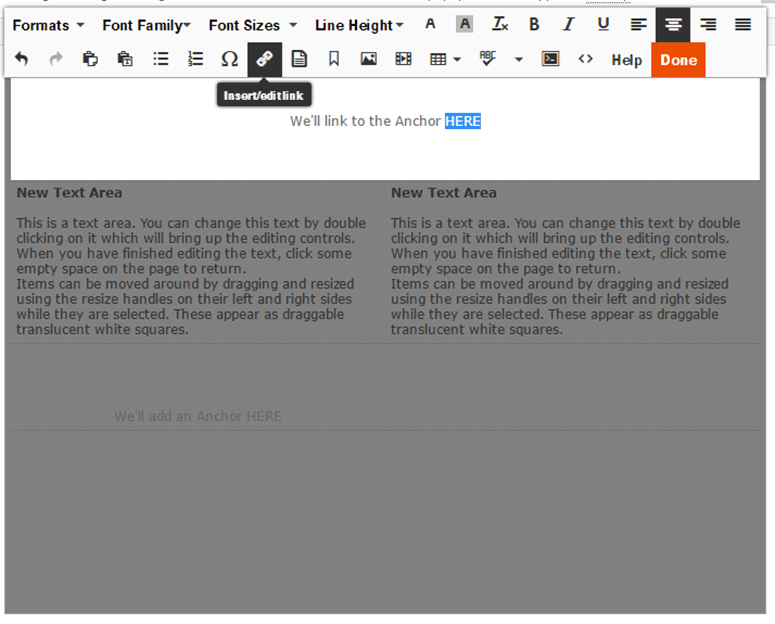 Remember: when you link back to your Anchor, the browser will move the screen so that it snaps to show the page position of the anchor at the top.